College is going to be pretty stressful, unfortunately. It will be a lot of fun and exciting, but it will also have a good amount of stress. You're going to be taking a lot of college classes and studying quite a bit and possibly pulling some all nighters. Those things alone can cause a lot of stress, but then you're going to add a full or part time job and the stress from being away from home to that. Oddly, one of the things that can help you through those stressful times is your dorm room decor. Your dorm room decor will add relaxation and soothing notes to your dorm room to make coming back to your college dorm room a relief and something you look forward to. 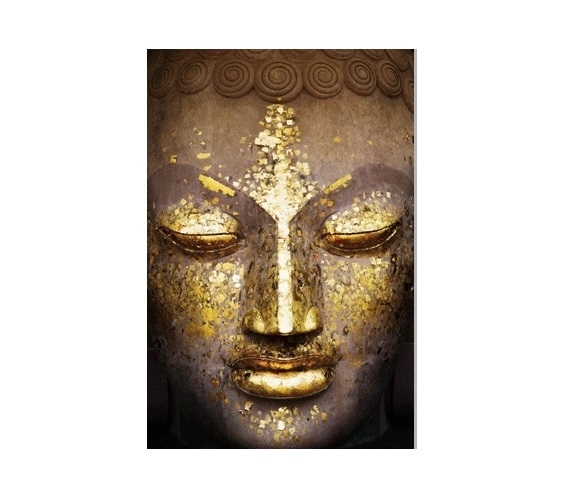 For extra calmness and relaxation to your college room decor, add dorm essentials like our Buddha Gold College Poster! Our Buddha Gold Dorm Poster features a tan statue of Buddha with gold highlights. This dorm necessities item will add to your dorm decor while adding inspirational dorm wall art to your college dorm room. Stress relief is different for everyone, and maybe looking at a photo or dorm wall art is what helps you reduce your stress level. What better way to relax and de-stress than by adding this calming college poster to your wall decorations for dorms! Your dorm room walls can be a little gloomy at first. Brighten them and add inspiration to your dorm room to help you get through tough college essays with our Buddha Gold Poster in your college supplies!